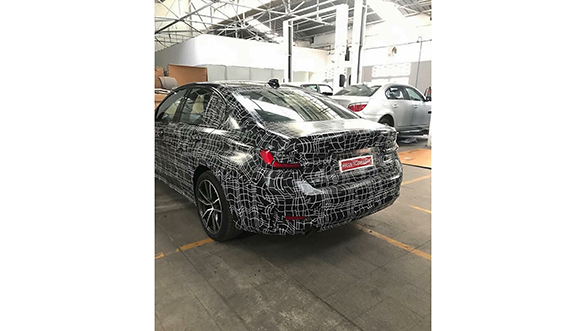 The next generation of the BMW G20 3 Series sedan was spotted at the manufacturer's workshop in Chennai, India. The seventh generation of the BMW 3 series saloon is said to be here for homologation purpose. 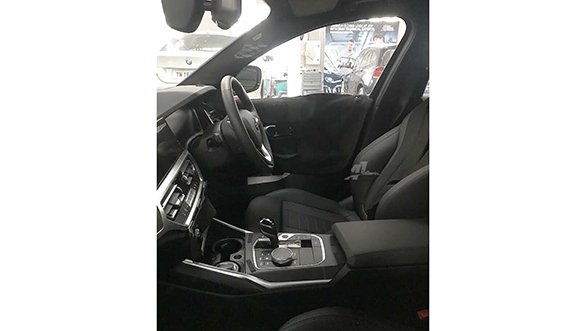 However, the car is camouflaged on the outside, the spy shot gives a peek into the cabin and reveals interior bits. Even with the disguise, the sharp lines on the outside and the chrome surrounding the kidney grille are evident. The headlamps are LED units with projectors, which could be equipped with the optional BMW's Laser light (adaptive headlamp) technology. The tail lamps are LED units as well. The front and the rear bumpers are styled more aggressively than the current model on sale although the car retains its sedan-like silhouette. Along with the standard car we believe, BMW could offer the new sedan with an M Sport package which could include cosmetic tweaks. The new BMW 3 series will be offered in the petrol as well as the diesel variant. The petrol variant is expected to be offered with the M sport and the engine on offer will be a 2.0-litre twin-turbocharged producing a 258PS and 400Nm of torque. For the diesel variant, the BMW 3 series will be offered with a 2.0-litre turbocharged diesel engine producing shy of 200PS. Both the engines will be mated to an eight-speed automatic transmission. Inside the cabin, the first thing one would notice is the redesigned gear selector. That said, the dashboard wears an aluminium finish that surrounds the air duct and the centre console. The steering is sporty and so are the seats. The car will feature a digital instrument cluster seen on the international spec BMW 3 Series. 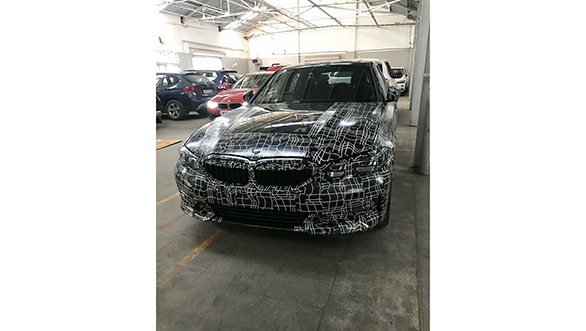 The new BMW G20 3 Series could be launched by the end of the second quarter and could be available in the 320d and the 330i trim. The company made an official statement that they will not bring the new 3 Series in the GT avatar. 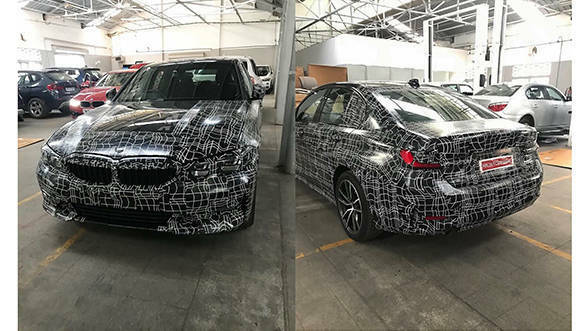 The upcoming BMW G30 3 Series will rival the Mercedes-Benz C-class, Volvo S60 and the Audi A4, and could be priced in the Rs 39 lakh to Rs 48 lakh price bracket.